Whitewater is inherently dangerous. Be safe while you text your own boundaries. Don't rush into paddling dangerous whitewater. Make sure you understand river features and study them until you can identify all their risks. Always consider risk vs. reward and portage whenever a rapid doesn't balance that equation. 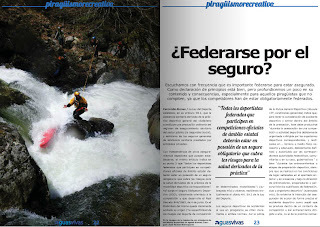 If you still haven't tried whitewater kayaking yet - DO IT ALREADY ! There are all types of rivers, all scales of difficulty - and plenty of safe, easy rivers suitable for beginners. 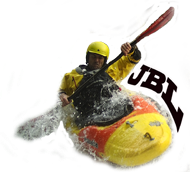 Search for a local kayak shop and ask for info on the nearest kayak clubs / instructors. There are lots of patient and talented kayakers out there who will be stoked to introduce you to the rivers of the world. Carnage! Entry - JORDY SEARLE (NZL)- Kokatahi River, New Zealand from Rider of the Year Awards on Vimeo. 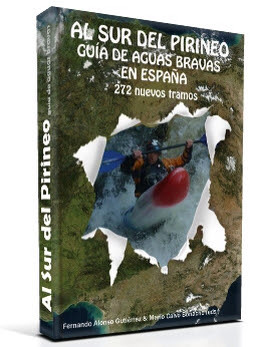 Recomiendo ver la aventura completa!! !